Attorney Debbie Schlussel is the main proponent of this conspiracy theory at debbieschlussel.com, and I call it a conspiracy theory because the claim is that a document obtained through the Freedom of Information Act (FOIA) from the federal government is faked, and this would require a government cover-up to have taken place. 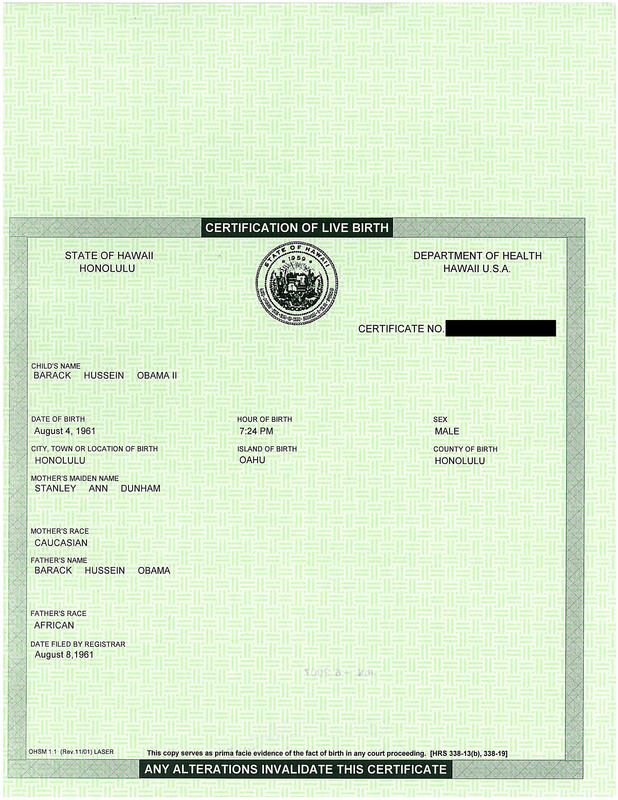 From the analysis provided by Debbie Schlussel, there is something very amiss with what purports to be Obama’s Selective Service registration. Were the documents the result of a forgery by a “helpful” clerk? Were they the result of a coordinated effort or a request from the Obama Campaign itself? Would the email correspondence show evidence of this? The telephone records? Was there a reason it took around a year to get ahold of this document? 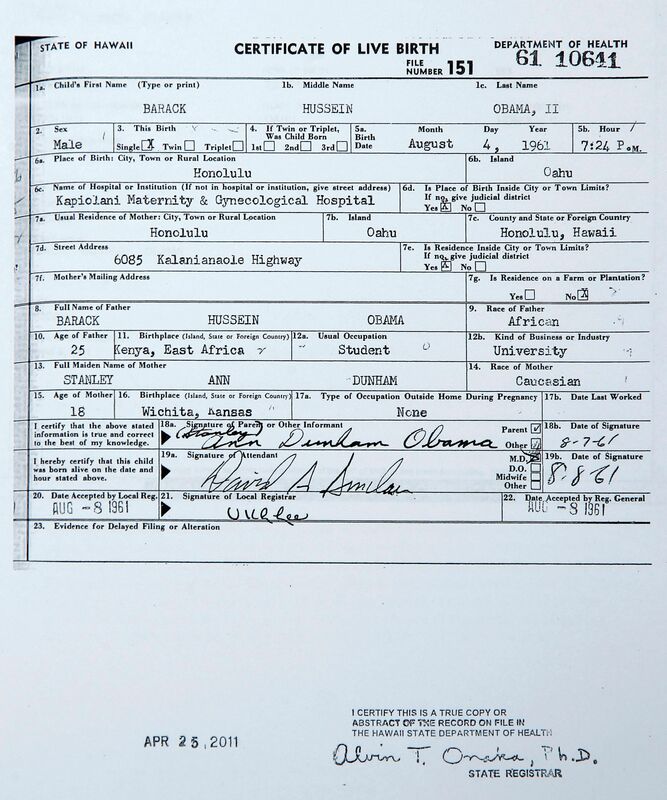 Why does the document appear to be a fake? This is another one of those Barack Obama cannot become President because… stories. 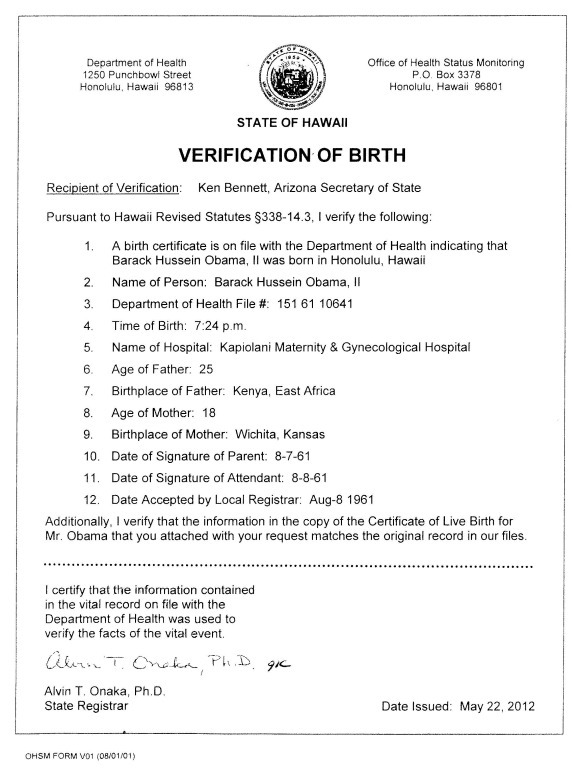 Someone claiming to be an expert found various anomalies with the FOIA obtained copy of Barack Obama’s selective service registration. US law at various times required Americans to register for the draft. The purported anomalies including a file number that seems to have too many digits and a postal stamp that was obsolete. Update: Since the writing of this story, Internet investigators have come up with many examples of the same USPO postal stamp used on registered mail from the same time period when Obama registered; that is, the postal stamp is just fine. 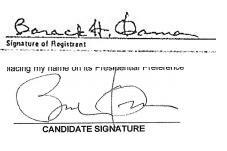 Part of the claimed evidence is the difference between a 27 year old signature from Obama from the supposed Selective Service registration and his signature today. As someone who has had occasion to sign his name 100 times in a day, I can fully appreciate how a signature changes dramatically towards something simpler and faster when you do it as much as Barack Obama must. Any time you have a claim that a government agency, in this case, the Selective Service, is faking documents, some serious evidence is required to back it up. So far the evidence hasn’t risen to the level of “serious”. This is month-old news, but I’m just getting around to it. Admin, what do you make out of the issue that Danial Amon, can’t be found to have ever worked for the Selective Service? Read George’s message above and click on Selective Service. He’s been the Selective Service spokesman since at least 2003. He was interviewed on WHRO radio just today in that role. Who’s claiming “he can’t be found”? If he can’t be found then whoever is looking is incompetent. He’s even mentioned in the Congressional Record!!! Selective Service spokesman Dan Amon says he has fielded “hundreds” of calls about the possibility of a renewed draft, which he calls an “urban legend ….. If the White House is planning a draft, you’d think they might have told us about it.” The uniformed military are among the last people who want to see the draft revived. Links to Dan Amon interviews by newspapers and radio stations 2003 to present. Your link to THOMAS at the top of #4 (Congressional Record) was a temporary search engine generated one. I’ve been “fighting” that system for years now and I see you’ve already used GovTrack.us later on. You should try the PDF of page H8126 or the not so direct THOMAS link to that page H8126 instead. Thanks, George. I fixed it using your PDF. Maybe I overdid it, but that comment about Dan Amon was SO SILLY. No problem & I’m enjoying your site btw. The idea that Daniel “Dan” Amon couldn’t have been researched and proven to be an active representative at the Selective Service Administration is a sign of poor research skills on the part of the naysayers out there. It’s not like Dan Amon hasn’t seen his share of grief from those who think his job performance has been less than stellar either! Have you heard back yet from the Hawaiian Philatelic Society? To what effect? Not scientific, but my signature looks nothing like it did 20 years ago or so. Not even close. I found some old canceled checks when I moved last time… Not even close. Lawmakers in 20 more states propose bills to declare souvereignty from the US. Obama’s 1 trillion dollar heist is the last straw that broke the camal’s back. “During the learning years, handwriting changes constantly (though once someone is a “fluent writer” his handwriting can be examined). During the years of “writing maturity” change is slower, then it speeds up again during “the declining years”. Specimen, therefore, should be prepared as close as possible to the date of the questioned material. Just to follow up on the round stamp age (USPO) issue. I have searched for old round stamps from the 1980’s and I have found them, for 1980, 1985, 1987, and 1988. They are from my own stamped certified return receipt slips when I mail in my tax returns with a CMRR, as I usually do. First, there were MANY round date stamps with USPO used at least up to 1988. This is 17 years after the USPO became the USPS. Obviously the post office continued to use their old stamps for many years. Vickie551at was wrong. Also you will find NO personal ID marks on any of the date stamps. 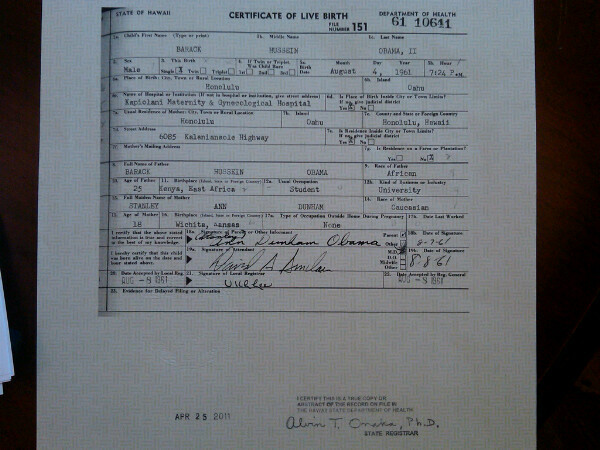 In one case the postal employee added his/her initials near the stamp, as in the Obama registration stamp. So Vickie551at was wrong here too. Makes me wonder if she ever worked for the post office at all. Here are my scans of my certified mail stamps. Only one is USPS, from 1988, while there are USPO stamps still in 1988. In one case the same post office was using BOTH USPO and USPS stamps in 1988. The SSS registration form used was also dated “SSS Form 1(Feb 80)” upon close inspection. And her argument about it being canceled is also nonsense. Only an order for future forms that was ~requested~ in Feb 80 was canceled. If this order had been printed the forms might have been dated Apr 80 or May 80, however long it would take to print the forms. Shoot down another of her arguments. And so it goes. The truth will come out eventually – and DS probably won’t like the truth. Great stuff, Mimi. Thanks. The Freepers are definitely industrious folk. They have stuff others discover months later. a. 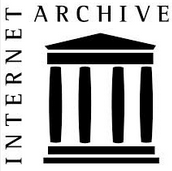 The 10-character Document Locator Number (DLN) was placed on Selective Service Registration Forms beginning prior to the establishment of our current Data Management Center on 31 August 1981.
b. Prior to 1981, the DLN configuration was different from what is used today. c. At that time when Mr. Obama registered, the first three characters (089) indicated that the form was keyed in by one of the contract keying centers – in this case 089 equated to the Internal Revenue Service. d. Later, an 11th digit was added to the DLN just prior to Y2K to differentiate another decade. Thus, the first three characters of the DLN do NOT represent the year the form was keyed into the SSS registrant database, despite what some may hold dear. Of course all of this is a US Government coverup, like many other things…do you forget Nixon?